Windjam Properties’ core belief focuses on excellent new homes and land sales, customer service, and results in every area and discipline of the build-out of a new home community. Our team has developed numerous new home communities for new home national builders, as well as custom builders. Windjam Properties has unlimited General Contractor licenses in NC, VA, and SC with specialty classifications in commercial and residential building, highway and heavy excavation, and public utilities (water and sewer). As one of the area’s few full-service new home marketing and sales companies, we assist home buyers, home builders, and developers in multiple communities in Wake, Chatham, Orange, Franklin and Moore Counties. Our services include: interior design, model merchandising, new homes model sales staffing, new homes marketing collateral materials, and architectural reviews. We also offer expertise in marketing your property, including: strategic new homes marketing and advertising, publicity campaigns, new homes promotions, marketing budgets, and new homes market research. Rex Vick graduated from UNC-Chapel Hill’s Kenan-Flagler Business School in 1993 with an emphasis in real estate, followed by an advanced degree in mortgage banking in College Park, Maryland. Obtaining his real estate broker’s license in 1991, before graduating from UNC, promoted his interest in real estate. He immediately entered the world of financing post-graduation, filling executive positions in three large national banks in North Carolina in his first five years out of school, as well as starting a regional mortgage banking firm in multiple states. Rex issued numerous construction lines of credit to some of the Triangle’s most respected homebuilders. Through these credit extensions, Rex fostered long lasting personal and professional relationships with these highly reputable builders, which continue to consult with Windjam Properties, and build in Windjam Properties’ communities today. Shortly before establishing Windjam Development Group, Rex developed a golf course and was partner in a golf course management company for the Carolinas. This spurred his interest in residential development and lead to the formation of Windjam Development Group. Shortly thereafter, he created a homebuilding company that would complement Windjam Development in its neighborhoods. As a result, Rex’s extensive financial network and intimate knowledge of the construction industry enabled him to form Sage Built, a residential building company. Sage Built’s team brings over 75 years of homebuilding experience to its homebuyers. Rex has made it a priority to develop working relationships with his customers. His personal integrity and dedication to customer satisfaction has ensured a strong reputation for the Windjam Properties. In addition, his financial leadership allows for the effective management of client assets throughout each project, giving every client peace-of-mind knowing that their project is being handled with dedication, honesty, and experience. He is also a member in Capitol City Homes, which is a Top 15 homebuilder in the Triangle. After the formation of Windjam Development Group and Sage Built, Rex established Windjam Properties in an effort to provide the highest level of new home properties sales and marketing. Banks and developers routinely call on Rex to strategically market and sell homes in the North Carolina market. Rex is committed to Windjam Properties becoming the area’s top real estate sales and marketing company for new residential construction and land sales in master planned communities. His leadership role in the sister company, Windjam Development Group, gives the company a strong advantage in land transactions as it allows them to resolve challenging development issues through their extensive contacts with local government agencies and community planners. 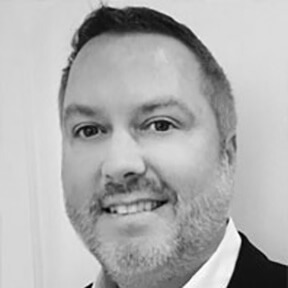 His expertise in design and development starts in the early phases of the construction process, and at the appropriate time he integrates his advertising team and sales professionals. 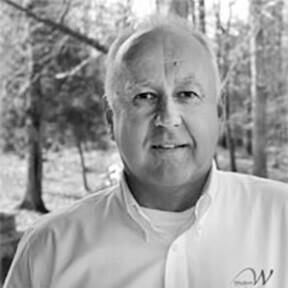 Rex Osborne has more than 20 years of experience as a North Carolina Broker specializing in marketing, sales, and land development. As a Broker with Berkshire Hathaway Carolinas Real Estate (formerly Prudential Carolinas Realty), Rex completed over 25 residential community projects and represented more than 115 custom builders in Wake, Johnston, Chatham, and Moore counties. In 2004, Rex was one of only seven Brokers to be awarded the “Zack Bacon Award” for professionalism, strong ethics, and character. Through the years Rex has received numerous agent and team of the year awards, as well as the Triangle Business Journal top-ranked agent in the Triangle in 2006 with over $55,000,000 in residential sales. In his role at Windjam Properties, Rex heads the team in development management and sales. Using his years of experience in market research and analysis, Rex serves as a key component in developing market strategies and sales goals. Rex is a true team player, effectively bringing together building and sales teams to produce the best product for every buyer. Jennifer was born and raised in Chapel Hill, North Carolina. She earned her Bachelor of Arts degree in Political Science from the University of North Carolina at Chapel Hill (’93) and her Juris Doctor degree from the UNC School of Law (’96). Jennifer completed coursework with the Stonier Graduate School of Banking at the University of Pennsylvania, Wharton School of Business where she gained her graduate banking degree and Wharton Executive Leadership degree in June 2013. Jennifer started her career in the general practice of law with the firm of Barber, Bradshaw, and Vernon in Pittsboro and went on to work for Investors Title Insurance Company in Chapel Hill as a Title Attorney. 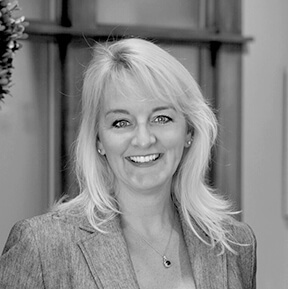 Jennifer joined a small law office in Siler City as a partner in February of 1998 and took over the business as a sole practitioner that July. Jennifer operated her dual-location general practice firm in Chatham County with a focus in Real Estate Transactions and Development, IRS §1031 Exchanges, Business Law, Zoning and Land Use, Wills & Estates and Personal Injury while contributing much of her time to service in the surrounding community. Jennifer’s executive-level business education, leadership training, and career success will continue to enhance her ability to assist our clients in her area of expertise. Sparky is a financial and real estate professional with more than 21 years of experience across a wide range of industries. He graduated from the UNC-Chapel Hill Kenan-Flagler Business School in 1991 with a B.S. in Business Administration and a Master of Accounting. His financial career started in public accounting as a tax specialist and has continued with Controller and CFO roles for various companies in the Triangle area. Over the past 15 years, Sparky has held CFO roles with companies in the development and construction industries, including two years as a consultant to multiple residential construction and development companies. He is a proven leader and brings extensive management experience to the team. Sparky obtained his real estate broker’s license in 2001 and began brokering real estate as a secondary career. Since then he has gained a great deal of experience in residential real estate sales, brokering new homes, existing homes, finished lots, and raw land deals. He has an intimate knowledge of the building process, having acted as general contractor on multiple personal homes. Through his financial and real estate careers, he has become an expert negotiator, giving his clients a distinct advantage when negotiating contracts. 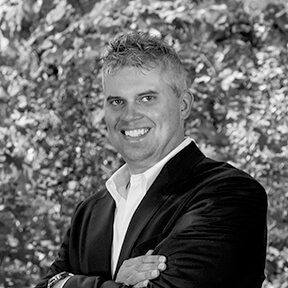 Gavin brings a well-rounded real estate background to his brokerage and client relationships. He has been in charge of key components of large-scale mixed-use pre-development projects and a Regional Manager for multiple apartment communities in the area. He also has served as the Broker in Charge for a residential property management company and has eight years’ experience managing and leasing commercial properties in the Research Triangle Park area. 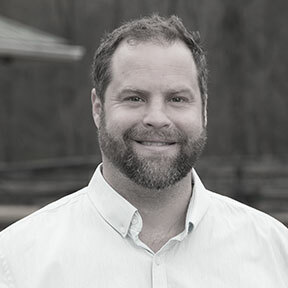 Gavin has been a successful and experienced real estate broker in the Triangle for over four years. Can we help you on your next project?